Glossarissimo! 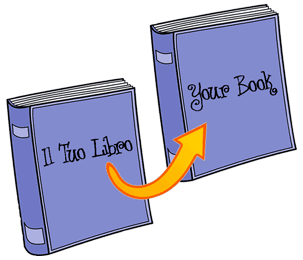 (formerly known as Traduttore Cerca Aiuto) is a collection of monolingual & multilingual resources and terminology intended largely for translators and interpreters and updated regularly. In addition to a large number of glossaries, the Glossarissimo! blog collects online resources (videos and articles, for example), websites, and other translation- and interpreting-related materials that provide in-depth information about specific subjects and which language professionals will find useful. Links for translators and interpreters published on the web. All sorts of information can be found on the Internet, including misinformation, false information, and sheer fabrication. No central authority reviews and verifies the content of web pages on the Internet. You as an individual are wholly responsible for evaluating the quality and validity of the information presented on this blog. For more information read the Verification Handobbok, a definitive guide (available in serveral languages) to verifying digital content for emergency coverage. If you would like to receive new posts directly in your email inbox, see the Follow this blog box on the right sidebar. Recommended settings: Daily or Weekly Digest. Thanks to the descriptions that exist for almost all resources and which make them easier to track down, you may also choose to search for synonyms and/or related terms as well as for other possible variations of a search word (for example, singular/plural, or masculine and feminine forms). For more detailed examples with screenshots, download the Quick Guide – How to find resources on the Glossarissimo! blog (PDF format). If you cannot locate one of the downloadable resources (PDF, DOC, XLS, or other formats) listed on the Glossarissimo! blog (because the resource is no longer available at its original site, for example), visit the Glossarissimo! archives on Dropbox, OneDrive, GoogleDrive I or GoogleDrive II, where we usually store a backup copy of the document that we downloaded when we first linked to the resource. To suggest a new resource, visit the Submit page and fill the online form. glossarissimo [at] gmail [dot] com. 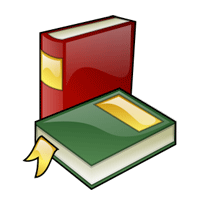 Books image: recolored version of Image:Books-aj.svg aj ashton 01.svg, which was originally from the Open Clip Art Library. 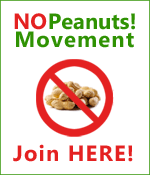 NoPeanuts!‘s founder Wendell Ricketts (www.provenwrite.com). Very interesting! I enjoyed reading this introduction. It’s not only useful for translators but also for terminological works. It is a collection of many available documents. I’ll recommend this blog to the Persian Academy for sure. They would need these resources.